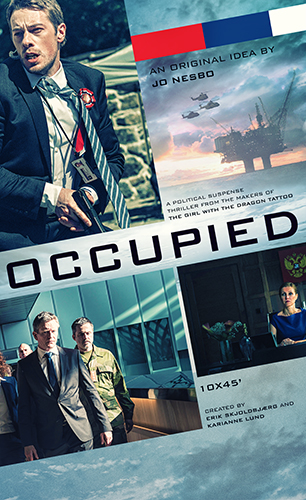 Okay, I admit that the premise of Norwegian television's new political thriller series"Occupied" is far-fetched. But that premise is a window on just how addicted to fossil fuels we are. In "Occupied" Norway's Green Party wins parliamentary elections and makes good on its (not-altogether-fictional) promise to shut down oil and natural gas production in the country as a way of addressing climate change. This fictional Green Party simultaneously builds a thorium-fueled reactor to provide electric power. The Greens promise many more reactors as they embrace the electrification of transportation to reduce Norway's need for liquid fuels. Norway's oil and gas customers--the countries of the European Union and Sweden--object to the loss of critical fossil fuel supplies. They conspire with Russia to force Norway to restart oil and gas production. At first this involves a smallish invasion by Russian soldiers and a takeover of offshore oil and gas platforms which are restored to production by Russian work crews. Coincidences aside, it does not seem surprising that the world would react strongly to a major oil and gas exporting nation deciding it will end all oil and gas production. If we were to substitute Saudi Arabia for Norway--where a partial shutdown is plausible if radical Saudi elements were to come to power in a messy coup--I can confidently predict that the United States and other Western powers would use whatever force is necessary to turn the oil spigots back on full blast. Attempts to control the flow of oil have led to war after war. But little Norway--peaceful, democratic, white, European--could never be the target for such violence under these unusual circumstances, could it? Of course, if Norway were to do the improbable and shut its oil and gas taps, it's more likely the Russians would be celebrating rather than assisting in opening those taps. It would mean Europe would have to import more Russian natural gas and possibly more Russian oil. Hey, maybe Great Britain would like to join Norway and shut down its production, too? The Russians could only dream of such an outcome. Naturally, it is inconceivable that any country would voluntarily shut down production of one of the most valuable commodities in the world and the lifeblood of the world economy. No country would choose to go without the economic benefits that significant domestic oil and gas production bestow. And, that is perhaps the point of "Occupied" after all. It shows us what we must do to prevent catastrophic climate change, and in doing so, simultaneously demonstrates that we simply won't be able to bring ourselves to do what we know we must. At least, not yet. Despite all the rhetoric coming out of the Paris climate summit--and it was very encouraging rhetoric--any country with significant oil and gas production which decides to curtail or end such production would quickly be prevailed upon to resume that production--perhaps not today with the current glut, but surely just 18 months ago and surely in the future when the glut comes to an end. Governments around the world believe that oil is just too critical to let any country make such a decision all on its own. Regarding "Occupied" as a piece of entertainment, once you forget about the implausible premise, you can focus on the changing allegiances and calculations of the Norwegian and Russian characters. It is a delicate and tense dance that these characters perform--the Norwegians not wanting to provoke an all-out war, a war that would surely demolish them; the Russians not wanting to resort to undue force for fear that they will get bogged down in a guerrilla conflict that could drag on for years. Will each side get its calculations right? For the answer you'll have to watch. And, I think you will like what you see even if the most implausible part of the series is that we will someday go cold turkey to end our addiction to fossil fuels.